On Wednesday 20th May we had Coca Cola Netball Tournament. 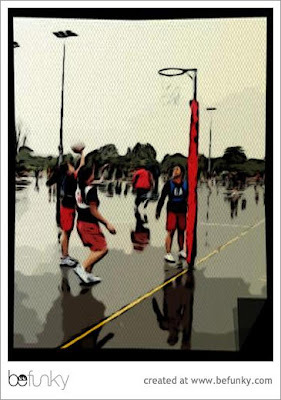 The Coca Cola Netball was held at Papakura Pulman Park. It was raining all day but all teams did there best to win. All teams had a really game. The toughest team we play was Kedgely. We won five games and we lost one. Pukekohe Platinum was my team and we came 2nd place.